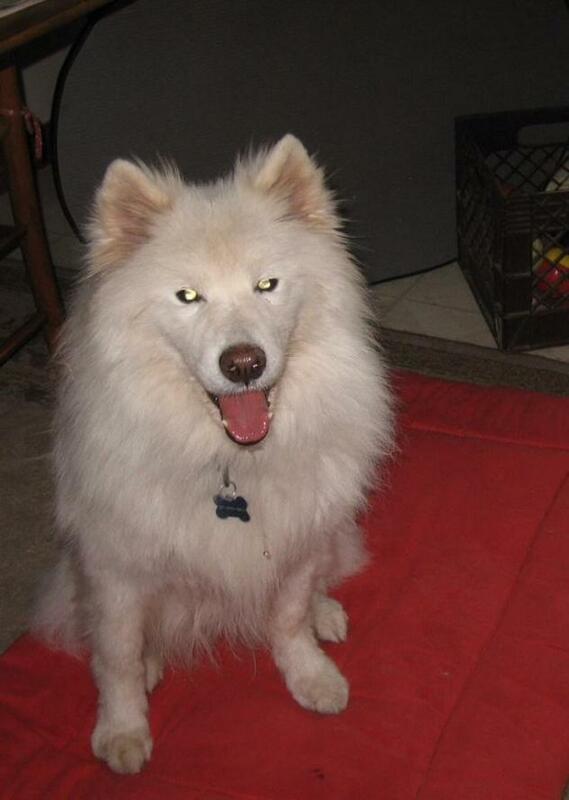 NISA desperately needs foster families to care for homeless Samoyeds! If you've ever thought about opening your heart to rescue...please do so now. NISA covers all approved medical costs!! Please help us help them by volunteering to foster a homeless Samoyed today. Call 847-392-5000 for information and details. Approved applicants, having viewed and interacted with available Samoyed candidates for adoption, will have a minimum of 24 hours and a maximum of seven (7) days to confirm their decision whether to adopt or not. NOTE: When viewing NISA's available dogs, please keep in mind that we cannot guarantee any particular Samoyed shown on this page will still available at the time you contact us. Nor can we guarantee that any Samoyed listed would be suitable for your family and lifestyle. Please note that NISA does NOT accept underground fencing as adequate confinement. Invisible (underground) fencing does NOT protect your dog from attack by stray dogs, wild life. or theft and pets should never be left outdoors unattended at any time. It is imperative that you speak clearly and slowly! Sadly, many calls can NOT be returned because we can not decipher the message. If you've called NISA and not received a call back, it's probably due to the fact we could not understand your message. Call again! It is NISA's mission to find the best suitable home for each available Samoyed. This is achieved by knowing the personalities and quirks of each Samoyed and matching them to the most qualified applicant. Understandably this is not a speedy process, therefore we ask applicants to be patient. NISA is governed by an all-volunteer staff. Volunteers have family, employment, and personal commitments in addition to the time they donate to help the less-fortunate Samoyed. Each Diamond in the rough listed on our site has been tested for heart worm disease, parasites (internal and external) and vaccinated. All rescued Samoyeds are either spayed or neutered and micro-chipped prior to placement. Hi, my name is Glory. I am a female Samoyed. I am around 12 years old. I love everyone I meet, however, if I'm completely honest, I want a person or family ALL to myself (no other pets please) so I don't have to share any treats, playtime, long walks together or those wonderful belly-rubs. I am beautiful (I'm told this by everyone who meets me), house and crate trained, know some basic commands and have nice house manners. I do have an auto immune disease, which affects my skin, so my foster mom needs to give me weekly baths (I don't mind them) and we check my bloodwork a couple times and year and make sure my liver values are good. Click here for NISA's Available Dogs!